After a week-long contest, the final round of Adi Rani Kalinga Tribal Queen contest took place on June 24 at Bhubhaneshwar which saw 20 female contestants walk the ramp in traditional tribal attire. Supported by the Schedule Caste and Schedule Tribes Department, Government of Odisha, the beauty contest was a first-of-its-kind event which witnessed the participation of over 100 tribal women representing various tribes from across the country. The contest is aimed at showcasing the rich tribal culture and tradition of India. 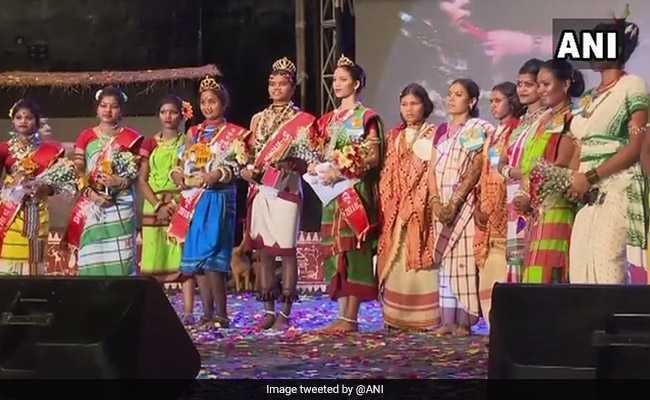 Pallavi Durua from Koraput district was crowned the first Tribal Queen whereas Panchami Majhi of Titlagarh was the first runners-up and Rashmirekha Hansdah of Mayurbhanj was declared the second runners-up. After winning the contest, Durua advised other tribal girls to pursue higher education instead of working as labourers. In the semi-final round which took place on June 20, community leaders from different tribes sent a representative each. In the finals, the contestants got to exhibit their talent and also faced a question/answer round which was regarding nature and tribal culture. Like in other beauty contests, there were category prizes such as ‘Best photogenic face’, ‘Best personality’, and ‘Best talent’ as well as prizes specific to showcasing tribal culture such as ‘Best tribal attire’, ‘Best presentation of ornaments’ and ‘Best presentation of own culture’. The three winners will now feature in a short film on tribal culture which will be produced by a Mumbai-based producer.